Ask any business transformation leader what’s high on their secret power wish list, and it’s the ability to quickly and efficiently move their organization from today to tomorrow, yesterday. Fast is not fast enough, and the ability and agility of smaller and nimbler organizations mean one small misstep can turn an early advantage into a missed opportunity. Typically these transformations are far reaching and have implications across process, org structure, skills and capabilities, enabling technology and performance and KPIs. From an employee perspective these changes can show up as a complex tapestry of “things that I have to do different.” As in all transformations, the devil is in the details. A corporate strategy, no matter how sound and well-defined, can fall apart if your employee base from the boardroom down to the front lines, is not able to make the shift and execute in a way that is aligned to your future state. Employee readiness and adoption of changes is critical. Slow transformations are tough, but failed transformations can be terminal - resulting in devastating setbacks or even worse, detracting organizational attention from the work that’s putting food on the table today. 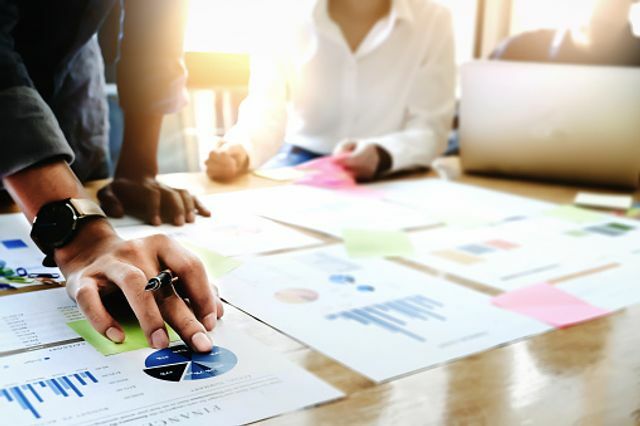 I’ve seen the value of organizational change management on these types of transformations and experienced the difference it can make in minimizing productivity dips and enabling companies to attain their expected ROI. What excites me is how technology can enable us to be even more effective in our change campaigns, allowing us to drive faster adoption by focusing in on areas in ways that it counts. In 2017 Microsoft released Workplace Analytics (WpA) giving organizations the ability for evidence-based transformation. WpA enables you to quantify your O365 data to identify best practices, develop predictive models and establish organizational benchmarks. Let’s take a simple example from one of our engagements. We worked with a professional service organization who recently underwent a reorg of their sales organization and brought on a new sales force. Through workplace analytics we were able to uncover and identify the behaviors and best practices of the top sellers in order to build programs targeted specifically to drive that behavior in others. Even more powerful is the ability to see the results of these programs in action and view how change management campaigns move the needle. O365 collaboration data and organizational insight, combined with our experience in behavior and culture change, gave us the ability to view which groups or departments required the most support helping us target our change management efforts in the areas that needed it most. The power to fuel our change programs with insights from Workplace Analytics is a powerful way to bring facts and data about employee behavior to the "elephant problem" of limited perspective that Susan Anderson explores in her recent blog, Defining the entire elephant: Overcome internal blindness to make lasting change. Our partnership with Microsoft and their Workplace Analytics solution means we can bring both deep transformation expertise with quantifiable people analytics to some of your toughest organization challenges including employee engagement, productivity, breaking down organizational silos, accelerating your acquisitions, up-leveling manager practices or rooting out process inefficiencies. I look forward to sharing with you more examples of how this powerful partnership gives us the ability to translate organizational insights into laser-focused plans to drive change and measured improvements in your organization. For more about our partnership with Workplace Analytics, check out (Sky)Diving into workplace analytics and behaviors by Sean Bryson.